ABB’s Measurement & Analytics business announces availability of the eight-page, full-color brochure that describes the in-situ Endura AZ oxygen analyzer series for process combustion control or emissions monitoring. According to the brochure, the analyzer's sensor, based on the proven zirconium oxide cell, mounts on the tip of a probe inserted into a combustion gas flue duct. Probes may range up to 13 feet long, and deliver stability and accuracy in dusty, humid, corrosive, and hazardous areas. The probes withstand process temperatures of 800°C (1472°F). ABB's Measurement & Analytics business unit is among the world's leading manufacturers and suppliers of instrumentation and analyzers. With thousands of experts around the world and high-performance technology, ABB's team is dedicated to making measurement easy for its customers. 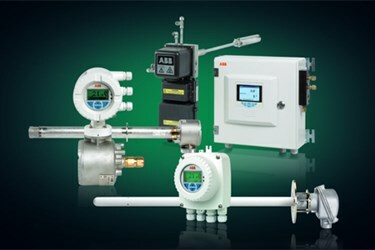 For more information, visit www.abb.com/measurement. ABB is a leader in power and automation technologies that enable utility, industry, and transport and infrastructure customers to improve their performance while lowering environmental impact. The ABB Group of companies operates in roughly 100 countries and employs about 140,000 people. For more information, visit www.abb.com.